It is a bit amusing watching the produce industry’s reaction to transportation rates and other issues. Little thought is given to transportation – trucking or rail – until there are problems. Those problems almost always center first on what’s the cost of the truck? Find the cheapest truck available is pretty the industry’s unwritten motto. This has typically been most true after demand for refrigerated equipment subsides entering the fall as produce volume is seasonally lower. It continues until around March or so when spring produce shipments are increasing and demand for equipment rises accordingly. Since last year this has all changed. Another cycle in trucking has arrived. These cycles typically last maybe three to five years. 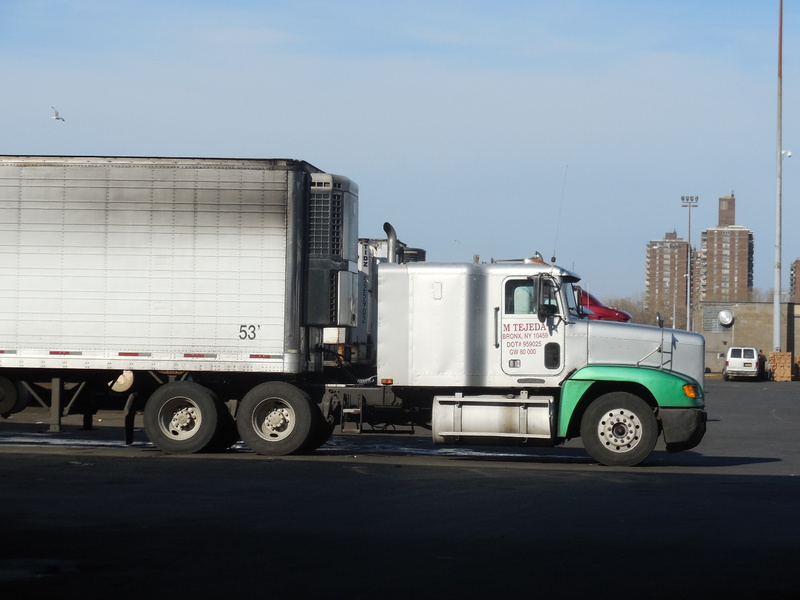 The cycle that has ended saw rates for produce truckers remain pretty stagnant. A sluggish economy with stagnant wages did not present as many attractive employment opportunities. That’s now in the rear view mirror as demand for trucks, and drivers is often outstripping supply. Now there’s near panic is some produce industry corners. 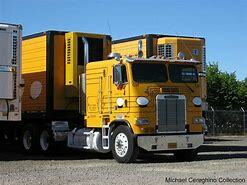 Not only are freight rates substantially higher, but getting a truck at any cost is often a challenge. 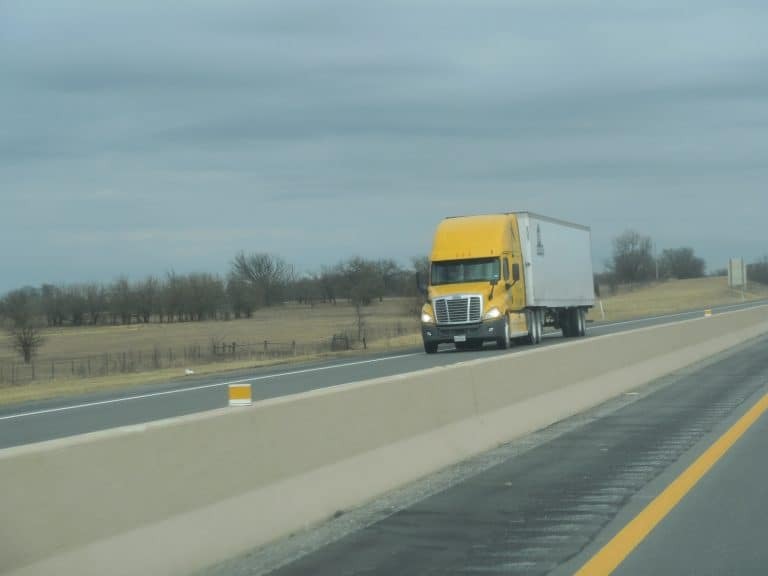 Truck rates have recently backed off some, but spring is coming soon and we’ll see how long that trend lasts. The federal mandate for electronic logbooks certainly isn’t going to help no one. Truckers currently are allotted 14 hours of operating time, but how often do they waste much of this time at loading and unloading docks? When multiple pickups and drops are involved, the problems is only compounded. While truck rates have plunged from only a month ago, they are still much higher than a year ago. Rates from the California desert are currently about $7,400 to New York City, off 15 percent from three weeks earlier. However, the current rate is still 20 percent above the same time a year ago. For a load of apples out of the Yakima Valley in Washington state the gross freight rate is around $4,600 to Dallas, 20 percent below only a few weeks ago, but very similar to rates at the same time last year. Rates from south and central Florida for tomatoes and veggies are mostly below $3000 now, which is 20 percent more that a year ago. Check out where in the nation the biggest demand for produce truckers is….Also, there are reasons South Texas is becoming a bigger player for hauling Mexican imported produce. Plus, what’s up with pomegranates. The biggest demand for produce trucking in the country is coming out of the Twin Falls, ID area. Easily, the largest potato shipping state, Idaho is currently averaging about 2000 truck load equivalents of mostly russet potatoes per week. Idaho potatoes – grossing about $2200 to Atlanta. Most pomegranates for the holiday season have already been shipped because of a short crop due to heavy October rains. The USDA reports only 120,000 pounds of U.S. pomegranates shipped between November 6 – 12, off from 660,000 between November 8 – 14 a year ago. The year-to-date total for U.S. pomegranate shipments is 7.56 million pounds, down from 9.17 million pounds at the same point last year. California’s Pom Wonderful accounts for about 60 percent of the pomegranate shipments, which normally lasts through January. Crown Jewels Produce, of Fresno, normally ships through the second week of December, but finished its season a month early. Its volume is down about 30 percent. Simonian Fruit of Fowler, CA typically ships pomegranates into January, or February, but will wrap up its season by Christmas if not sooner. Mexico continues to play a pivotal role in the Texas produce industry. Import volumes were up nearly 25 percent in 2015 from the previous year, and a significant volume of fresh produce coming from Mexico now goes through Texas. This has resulted in volumes of fresh produce coming through Pharr, TX just about equaling tonnage in Nogales, AZ. Reasons for the increase in import volume include a new highway system in Mexico, which serves as a pipeline from the main production area of Mexico straight to south Texas. Weather and labor issues in the U.S. have also contributed. However, the import growth rate is expected to slow in the coming years as the infrastructure in the area expands to handle the volume now being transported. The boom in infrastructure in south Texas is certainly a positive economic impact to the state of Texas in terms of jobs and construction companies getting bids to build cold storage facilities, with some being as large as 100,000 square feet. Mexcian imports through South Texas – grossing bout $3100 to Miami. 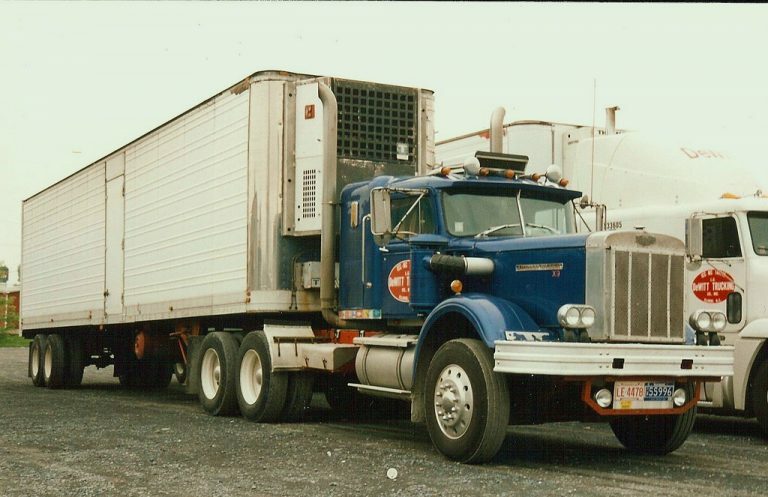 There should be good loading opportunities for produce truckers hauling apples during the 2016-17 shipping season. Fresh apples in storage as of November 1 totaled 134.8 million bushel (42-pound) cartons, up 14 percent from last season’s levels and 13 percent greater than the five-year average. The first storage report from the U.S. Apple Association, shows total apple inventories were 179.1 million cartons, up 11 percent from a year ago and from the five-year average. November 1 total fresh holdings were 8.1 million cartons in the Northeast U.S., down from 11.4 million cartons a year ago and 10.5 million two years ago. New York state’s fresh holdings were pegged at 5.82 million cartons, or more than 70 percent of remaining fresh supply. In the Midwest, the storage report showed 7.7 million cartons of fresh apples on hand, up from 6.9 million cartons in 2015 and 6.7 million cartons in 2014. Within the Midwest region, the storage report showed Michigan accounted for 7.54 million cartons, or 98 percent of the Midwest fresh supply. Northwest U.S. fresh apple holdings on were 117.6 million cartons, up from 98.4 million cartons a year ago but off from 127 million cartons in 2014. For the Northwest region, Washington’s apple inventories were 116.3 million cartons, or 99 percent of remaining fresh apples in the Northwest states. The Washington apple harvest is still ongoing for some varieties, but based on volumes harvested so far observers are expecting an increase to 137.4 million boxes. An estimated total may be revised in December. However, observers still see a high-quality crop with good storage potential, with plenty of loading opportunities for produce haulers. Washington apple shipments – grossing about $5300 to Atlanta. Solution to Florida Tomato Dumping Found? While produce truckers haul thousands of load of Florida tomatoes each year, the Sunshine state still has a big time tomato waste problem. Some solutions to this problem may be coming from researchers in Florida. They have been performing groundbreaking work on turning rotten, damaged and generally unfit for sale tomatoes into electricity, which could be a major source of green energy. The researchers working on the pilot project see tremendous potential in the new “tomato battery.” They believe it could eventually generate enough energy from the state’s tomato waste to power Disney World’s 43 square mile complex of hotels, theme parks, golf courses and shopping centres for three months of the year. The process could also reduce Florida’s tomato waste, which currently has 396,000 tons dumped into landfills and waterways annually, causing significant problems for the environment. The scientists are using bacteria to break down and oxidise “defective” tomato waste – a chemical reaction which releases electrons that can be captured in a fuel cell and be a source of electricity. Tomatoes are particularly well suited to the job because they contain a bright red carotene pigment, which the researchers have found to be an excellent catalyst for generating electrical charges. He acknowledges that the amount of electricity they are generating from tomato waste is relatively small, but says with more research and development the energy output can be increased many times over. The New York state apple harvest is in full swing and New York apple shipments should pick up once the harvest is completed in a few weeks. The Empire state is expecting normal apple shipments and volume this season from the state’s 700 growers. The Hudson Valley is the largest volume provider in the state. However there also are shipments originating near the western shores of Lake Champlain in the Champlain Valley. Further west in New York, the primary shipping areas for apples are Utica, Ithica, Syracuse and Rochester. New York is the nation’s second largest apple shipper and is forecast to have 26.2 million cartons this year, or about 13 apples for each of the state’s 19.75 million residents, if those apples stayed in state. However, the state’s apples are shipped from New England to Florida. The 2015 crop is expected to be slightly smaller than the state’s average over the past five years of 30 million cartons, but produce truckers won’t notice the difference. New York has new apple plantings resulting in new apple varieties such as Honeycrisp – alongside their old New York state standards such as McIntosh and Empire. The new varieties like RubyFrost® and SnapDragon® can only be grown by select New York state growers. 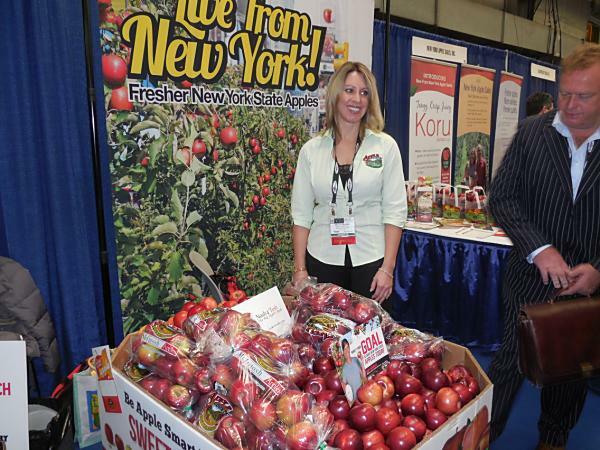 Hudson Valley apples – grossing about $2600 to Atlanta.